Ph.D. (2011) Second Language Acquisition and Teaching, University of Arizona, Tucson, Arizona. M.A. (1998) English Language/Linguistics, University of Arizona, Tucson, Arizona. B.S. (1990). Elementary Education. University of Nebraska at Lincoln, Lincoln, Nebraska. Dr. Catalano’s research focuses on global citizenship education (and the arts), education and migration, and critical language studies. Dr. Catalano’s book, “Talking about global migration: Implications for language teaching” (Multilingual Matters, 2016), features the stories of migrants from around the world and takes an in-depth look at the metaphors used when migrants talk about their experiences. 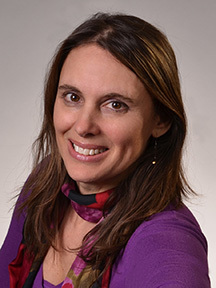 Dr. Catalano also serves as faculty advisor for the TLTE graduate student association and is co-leader of TLTE’s Master of Arts with emphasis in language teaching and acquisition/ELL (MAlta) program and coordinator of the dual language endorsement program. from Central America in the United States: Media vs. migrant perspectives. In A. Musolff & L.
learners in contact with emergent multilingual students". Critical Inquiry in Language Studies. online reader comments. Discourse & Communication. 12(3), 240–257. discourse analysis of the Atlanta schools’ “Cheating Scandal”. Social Semiotics, 27(1), 59-80. Catalano, T. & Leonard, A. (2016). Moving people and minds: Dance as a vehicle of democratic education. Education, Citizenship and Social Justice. 1-22. DOI: 10.1177/1746197915626082.